You applied for a job online that seemed like they wrote the job spec around your CV. They rushed you through three interviews to get to meet the head honcho over Skype, saying they wanted to make a quick decision. Then nothing. Crickets. Or worse still….a written confirmation to “politely regret” your application which your internal filters read as “you have completely, utterly let yourself down and are a hopeless case”. It’s just crushing, a complete emotional roller coaster; a process that you have to steel yourself for, like online dating or buying a dream home in a saturated market. Here are some tips to help you navigate this process. Rejection or no answer from one job cannot affect any other aspect of your life or job search, unless you let it. That part is down to you. Our inner critic is toxic. It’s so important to remember it’s not your reality talking. It is a viewpoint you adopted, based on destructive early life experiences that you've internalized as your own point of view. In the instance of the job search, any old rejection wound can revisit and stop you dead in your tracks. 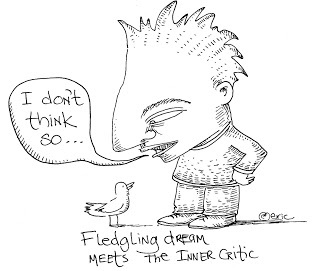 Don’t worry, you can call your inner critic's bluff. One way to help you differentiate from your critical inner voice is to write these thoughts down in the second person (as "you" statements). For example, a thought like "I can't get anything right. I'll never be successful" should be written as "You can't get anything right. You'll never be successful." This will help you see these thoughts as an alien point of view and not as true statements. The more you see the job process with inevitable ups and downs, the more you can be rewarded at each and every step and not just at the end when you have gritted your teeth and got a job. You will grow resilience. 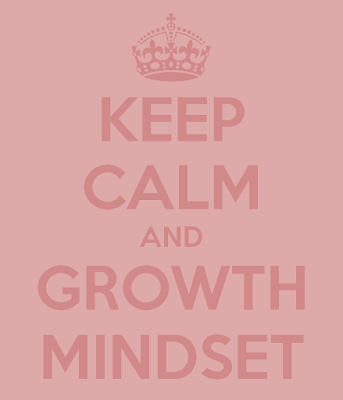 You can then keep a positive, adaptable attitude when thrown curveballs. To become resilient you must understand that success and rejection go hand-in-hand, and that you simply cannot advance if you always play it safe. That is boring…..and so probably not you! Get like a banker. Have enough "trades" going on that you are not so attached to the outcome of each role. This means that the process is less loaded and will be more enjoyable. Do avoid more than one application per company, or you may not be critically appraising your suitability for roles. I’m not talking here about busy work and applying for everything. It's wise however to spend your job search energy on qualifying other suitable opportunities, where you are likely to get a face-to-face meeting with a hiring manager. Online apps are not a great tool for relaunches, where CVs can be screened out just because of their gap. Once you let go of the need for a guaranteed outcome by having other options on the go, the more power you take back and the more energy you have for interview and attracting the right role. Taking action is the best strategy for leaving rejection behind. I have been on so many selection committees where a strong external candidate has been pipped at the post by one of the above reasons. It is so very, very often not down to your performance at all. Have you ever knowingly been at the mercy of one of these processes? I‘d love it if you could share your experience in the discussion. Let’s chat!